It’s no secret that affiliate programs are a great way to get your brand out there. What’s not to like about using other people’s networks to attract new clients and users? But unfortunately, if you pick the wrong affiliates, this strategy can also be a huge waste of time and money. The most common way to build affiliate networks is to use discount sites. These sites succeed in bringing in new customers, and that’s always a good thing, right? Well, not necessarily. While coupon and discount sites drive most of affiliate programs’ volume, the customers they attract are usually more loyal to the original site than your brand. In fact, after using the coupon to purchase from you, the same user will likely be just as willing to use a competitor’s coupon next time he makes a purchase. That high percentage of traffic is also a problem. Much like the stock market, you put your brand at risk any time the majority of your reach is concentrated in one channel. After all, what if one of the partners goes out of business? Lastly, coupon sites can also lead to mistargeting or brand confusion. Unless you want to always be associated with a discount, these sites can be an expensive dead end. By now, I’ve (hopefully) convinced you to consider different verticals for your affiliate program. The ease and initial influx of customers rarely pays off. Rather than focus on sites that provide general traffic, go after niche publishers and targeted verticals. While it may be more time-consuming on the front end, you’ll find that working with individual publishers will pay off in the long run. When you sign content-focused publishers as affiliates, you automatically diversify your traffic. No more getting 90 percent of traffic from one site. If you spread that same traffic across 10 sites, you’ll never take a big hit if one publisher experiences problems. You’ll also find that working within a targeted market will greatly increase your ROI. Clicks from these sites are more likely to be from truly interested customers instead of just browsers. They aren’t just looking for good deals; they’re looking for what your brand has to offer. Along those lines, they’re also more likely to become repeat customers. When people come from coupon sites, they’re more likely to be loyal to that site than your brand. In fact, they’ll probably return to the coupon site and find the next great deal the next time they’re on the market for a product or service similar to yours. For instance, we have one retail client with approximately one-third of its traffic coming from vertical affiliates. We’ve found that these affiliates cost 10 percent less per new customer, and they automatically deliver more qualified potential traffic. Building a vertical affiliate program takes time, consideration, and lots of effort. It involves building and managing a large number of relationships. The ROI is more than worth it, but there are a few things to consider before jumping in. It used to be possible for affiliates to build content sites around a certain brand, but with Google’s strict quality controls, this is harder to do. The best way for you to build your affiliate network is to find sites that put their content first. They’ll have built a loyal following of people who trust them to make great recommendations. First, determine whether the site’s content looks professional and whether it will match the product or service you’re selling. Then, figure out whether it already has posts that reach your target market. If it doesn’t, you’ll need to create something from scratch. Use tools such as Compete and SimilarWeb to gauge demographics and audience size. Finally, set a traffic threshold. A site should have a minimum of 100,000 monthly visitors to make it worth your effort. Once you have your guidelines in place, the next thing to do is find your affiliates. Because you’re looking for diversification, they can sometimes be hard to find. It’s not impossible, though, and with a little bit of work, you can set up a great affiliate program. Get into the conference scene. I’m not just talking about marketing conferences. Rather, attend any conference where bloggers in your niche vertical will be. We’ve attended all kinds of conferences—from pet blogging events to fitness blogger conferences—and they’ve all been useful in their own way. Use research tools to scout for vertical bloggers. Tools such as BuzzStream and Linkdex can give you access to niche bloggers. Make sure to check Quantcast and Compete to ensure a blogger’s traffic aligns with your target demographic. Get some face time. Everyone appreciates a productive face-to-face conversation. Schedule a face-to-face meeting around your vertical using Meetup. You’ll be surprised how many people will come out of the woodwork. Trade free samples for exposure. One of the best ways to reach bloggers is to offer free products for giveaways or reviews. The best part: You don’t have to pay money for this exposure. However, make sure you assure the blogger that he can write any kind of review he wants. This way, the content will be authentic. Once you find potential affiliates, it’s time to start communicating. Send emails to all of your targets, but keep them brief and personal. Publishers get a lot of solicitations, so make sure you let them know you genuinely respect their work and want to be a part of it. You’ll also want to make sure it’s easy for them to sign up. Remember how easy it was for you to sign up with Groupon? Take that same logic and apply it to affiliates signing up for your program. Make it simple, and be available to walk them through the process if they have questions. Finally, make it worth their time. You should, of course, have a great percentage already in place, but you should also offer different incentives for high-performing affiliates. For example, you could increase the percentage after an affiliate reaches a certain number of sales each month. Affiliate marketing is one of the oldest strategies in the book, but that doesn’t mean doing it well comes naturally. 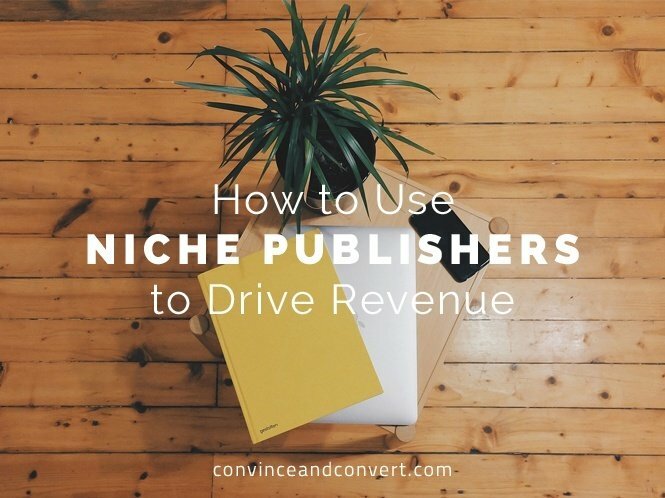 By focusing on those niche publishers, you’ll reach your goals much faster than larger, more general sites. And as you meet and work with publishers who share your focus, you’ll also find yourself a solid network. Chris Kramer is a founding partner at House of Kaizen, a leading end-to-end digital performance advertising agency based in New York City, London, and Lagos, Nigeria. Chris is the head of affiliate marketing for the agency and considers his most important task to be creating a performance-based service for his clients that’s centered on continuous optimization.